The GeekBuddy client required for the services is installed in your system automatically along with CIS Pro and Complete. For CIS Premium, it is installed automatically if you have selected the option Install Comodo GeekBuddy during installation. Launch a chat with a qualified computer support technician by clicking this icon in the title bar controls at the top right side of the main interface. Launch a chat with a qualified computer support technician by clicking Help > Support > Get Live Support at the top right side of the main interface. 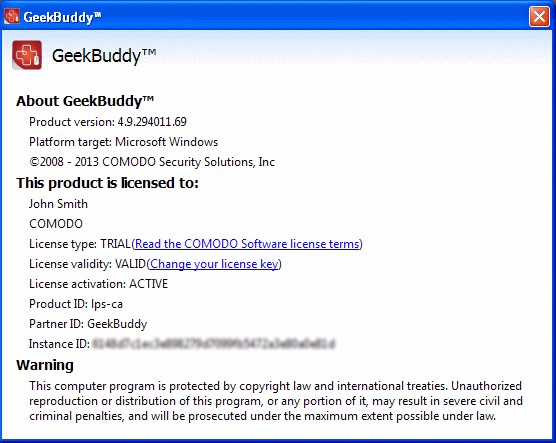 Launch the GeekBuddy client directly from the Windows Start Menu - Click Start > All Programs > Comodo > GeekBuddy > GeekBuddy. The GeekBuddy Home screen will open. 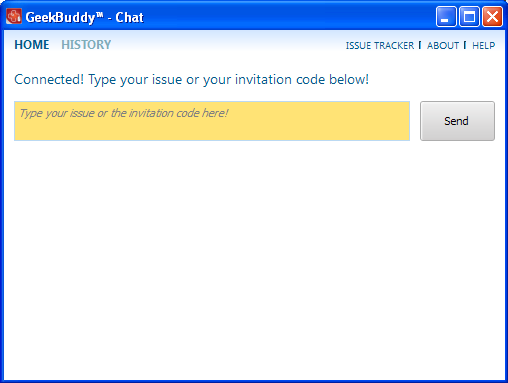 To contact a support technician, type your issue in the field or enter the invitation code if you have it and click the 'Send' button. ...and once the connection is established, our support technician will initiate a chat with you. Explain your problem. The technician will assess your problem with you and work with you to fix any issues. Click the 'About' link at the top far right of the screen. 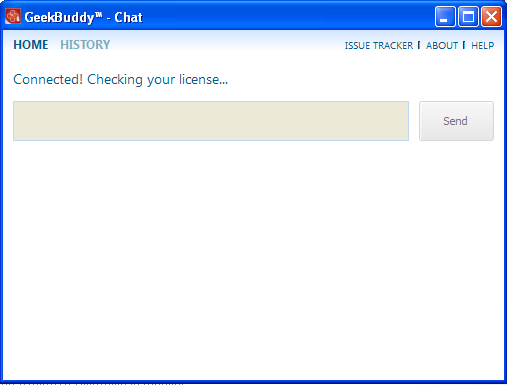 The About GeekBuddy information screen will be displayed. The 'About' dialog displays the copyright and product version information. The screen also displays information about the licensee, its validity and to change the license key or activate the account.